Between 2004 and 2013, commercial building fires accounted for over $2 billion in damages. Fire is an incredibly destructive force and it can cover a large area in very little time. But, how do commercial fires happen? Residential fires are a little more common, being that some homes have fireplaces and electrical problems. But, shouldn’t commercial buildings be well-protected against fires? In this blog, we will discuss how commercial building fires happen and how to prevent them. We hope that by reading this blog, you will be able to prevent business fires and learn proper protocol to keep everyone on your staff safe. It is unfortunate, but true. Casual cooking fires account for nearly 30 percent of all nonresidential fires. These types of fires would be due to employees microwaving a coffee is a metallic mug or even heating up leftover with aluminum foil still attached. By trying to heat anything metallic, your microwave will conduct a fire that can set off your buildings fire alarm. Though the accident was not malicious, any incident that involves fire can be hazardous. Luckily, most cooking fires are easily extinguishable and detectable. Because cooking fires are common in the workplace, it is important that you equip your business with fire extinguishers, smoke detectors, and sprinkler systems. With these systems in place, you can ensure that everyone will be not only alerted to a fire, but contain the area that is on fire. Sprinkler suppression systems are useful in commercial buildings because they make sure that any fire is thoroughly contained, at least until the proper authorities can put out the fire for good. This type of fire is by far more sinister and accounts for the most damage done to a business. Intentional fires are generally started by disgruntled employees or angry customers. However, sometimes a person doesn’t need to start a fire. These types of fires are more dangerous to civilian and employee lives because they are started at odd hours and sometimes can be assisted with an accelerant, such as gasoline. Because gasoline is so flammable and can be spread across a wide-reaching area, these types of fires are far more destructive and difficult to put out. Having a fire alarm and fire suppression in place will help alert anyone nearby of a fire and also contain the fire until firefighters can make it to the scene. While fire extinguishers and fire alarms are so essential to commercial building safety, surveillance cameras are also important to keep an eye on your building. By having a watchful eye out, you can have video evidence of who started the fire, with what, and when. With this evidence, you can pursue a legal case against the person who started the fire and receive money for the damages of your business. Intentional fires can be dangerous and unpredictable. Because of this, it is wise to constantly have certain locations checked. Bathrooms, trash bins, and garages, are all places where intentional fires can start. If you have a janitorial staff, they will be able to check these areas regularly. It is crucial to know, however, that most intentional fires are started after hours in the early morning, between midnight and three. Because of this, no one will be able available to stop the arsonist before the fire has started. Human error is the most common way a fire starts. Nearly nine percent of all fires are unintentional. Most of the time fires start from cigarette butts or space heaters. One of the best ways to encourage employees to put their cigarettes out properly is by offering a specific space outside to smoke. Second, you should also include a cigarette discarding station that will help extinguish butts and keep them in one location. This will not only reduce the likelihood of an accidental fire, but also ensure your building is free of any cigarette litter. Though buildings can be cold and drafty, a space heater isn’t the best way to stay warm, Space heaters can get very hot and if left on, can be a disaster. Space heaters can accidentally be pushed over and cause the carpet in your building to burn and eventually catch fire. One way to prevent a space heater fire is to not allow space heaters into your building at all. Instead, allow your employees to have blankets and jackets at their desks. This will keep them warm and unaffected by the temperature of the building. Having a sprinkler system in place could save lives and thousands of dollars in damages. 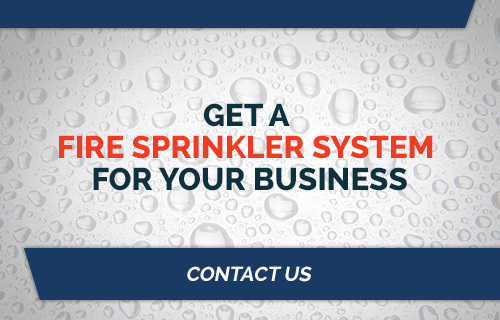 To prevent further damage to your business, make sure you have the proper commercial sprinkler systems in place. 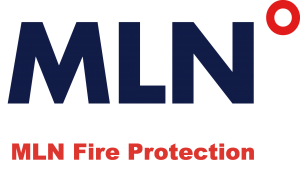 And, if you don’t, contact MLN Fire Company today! 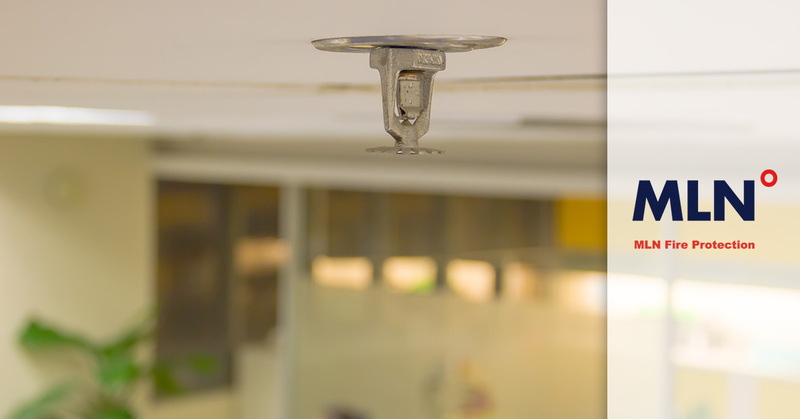 We can help you install the right fire sprinkler systems for your specific building. Contact us today.